The Longmada 510 Rig is a cutting-edge attachment that will quickly turn your favorite box mods/batteries into a high power rig style vaporizer complete with water filtration. Forget about using any torches or lighters, your 510 mod will power the included atomizer head that easily matches the performance of any desktop style rig vaporizer. This attachment is compatible with Longmada's full lineup of Mr Bald III Atomizers that are currently offered in six unique styles. This includes both ceramic and glass quartz versions that are able to handle dry material, waxy essential oils or both! 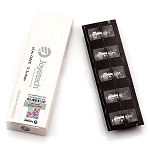 Inside every 510 Rig Kit you have one Bald III coil of your choice. 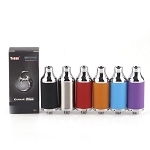 Each of these atomizers are designed with an embedded heating element to keep your material 100% separated at all times. This results in a much higher quality of vapor that tastes just as great. After heating your material any vapor product passes through a premium borosilicate glass chamber that can be filled with water for the absolute pure vapor quality possible. 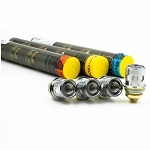 Longmada also includes a stainless steel carb cap system that caps off the heating chamber for full control over airflow and the overall quality of your vapor. 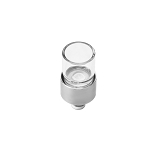 The stainless carb cap also has a magnet built into the center that will allow you to connect the included filling tool so it can double as a handle for your carb cap mid session. Longmada's 510 Rig Attachment delivers the powerful performance and pristine quality of vapor Rig Style Vaporizers have to offer but in a travel-friendly size with reasonable price tag. Invest in one today you will be sorry you haven't thought to do so sooner.